About Us - Local Appliance Repair - Johns Creek Appliance Repair Co.
WHY HIRE JOHNS CREEK APPLIANCE REPAIR CO.
WE WORK SMART. WE WORK FAST. WE WORK HARD. The main reason why we guarantee 100% service satisfaction to our customers is that their satisfaction is our topmost priority. The needs of our customers come first before any other thing. Since we started our business in GA, we swore to run our business with honor and integrity to create a good public reputation. It meant that at no given time will we ever charge our customers hidden fees, to always make our way to our customers' premises as early as possible when they make their calls and to always make sure that when we offer our services, they are left with smiling faces as they get satisfied with our services. Our family-owned company started a long time ago and its history began with making simple repairs in areas around Johns Creek and the surrounding areas within Georgia. We only had one truck that we used to carry our repair tools and very few experts whom we trusted with our services. ​After all those years, we have been able to employ several experts and we have also expanded our business. We have also added quite a good number of trucks too, increasing our efficiency and reliability. ​Compared to the past years, reaching our customers could be a little bit tough considering the fact that we only had a few repairmen using one truck. However, we are proud to have achieved a lot since then, and our technicians are also proud to work with us and our customers. I loved my GE refrigerator. That is until it stopped working. That didn't last for long though after I called Johns Creek Appliance Repair Co. Their service was fast and friendly and the repairman fixed the refrigerator in less than 2 hours. Between my husband, myself, and my three kids, dirty laundry was piling up fast. Thankfully, Johns Creek Appliance Repair Co. was available the same day I called them. They had the parts they needed and repaired my washing machine very fast. 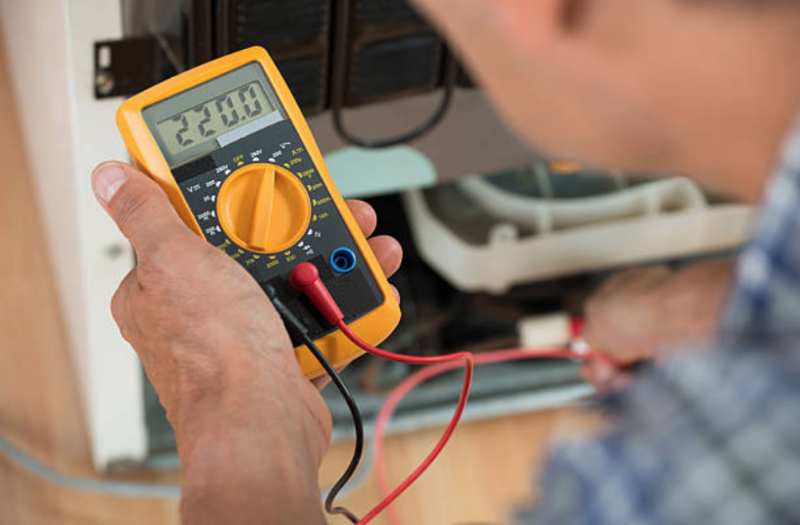 I've tried several appliance repair companies in Johns Creek. None of them offer same-day service. But then I found Johns Creek Appliance Repair Co. The owner himself came to my home and fixed my dryer soon after I called them. I can't afford to replace my Sears appliances so instead I called Johns Creek Appliance Repair Co. Their repairmen were able to tune up both my Sears refrigerator and stove and guaranteed the appliances should last another year or more. Such an amazing experience! I can't recommend Johns Creek Appliance Repair Co. enough. There name isn't very creative but they get the job done! My dishwasher is running like new again.